For the woman for whom the usual pearl strand is just too sedate. 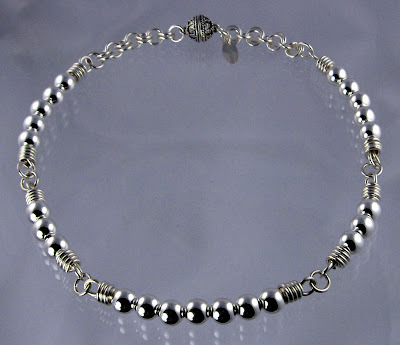 8mm seamless sterling beads on 16 gauge wire with an ornate, handmade magnetic Bali clasp. A show stopper.